The'ara nodded to what seemed like everyone at once: to Chez at sitting at her table (an unexpected surprise, that), to Ghet, Y'Roden, Rhagi, Hellen, and at her barmaid's suggestion that she spend more time with the Changeling. "Thank you," she said. 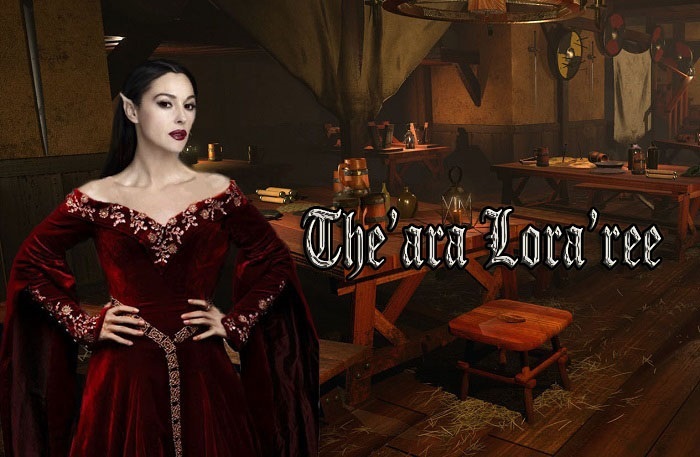 "I'm The'ara Lora'ree." Her eyes drifted back toward Chez's, mesmerized by their molten gold. "Pretty." The word slipped out without thought. Damn. "Pretty uh, cold out there, isn't it?" She bit her lip as she reached for her wine. This.This was why she preferred singing to talking. But at this rate, chances she would fumble over the lyrics were good, too.